Exploiting the power of a range of model organisms and state-of-the-art molecular and imaging technologies, LMCB scientists explore the dynamic control of cellular behaviour and its coordination in a tissue context, during development, homeostasis, regeneration and disease. The LMCB promotes a culture of local and global collaboration. Its location UCL’s Faculty of Life Sciences facilitates interdisciplinary exchange across UCL departments, and the close proximity of many research centres, including the Francis Crick Institute, Kings College London, Imperial College London and the Universities of Oxford and Cambridge, encourages a vibrant atmosphere of interactive, ambitious research. 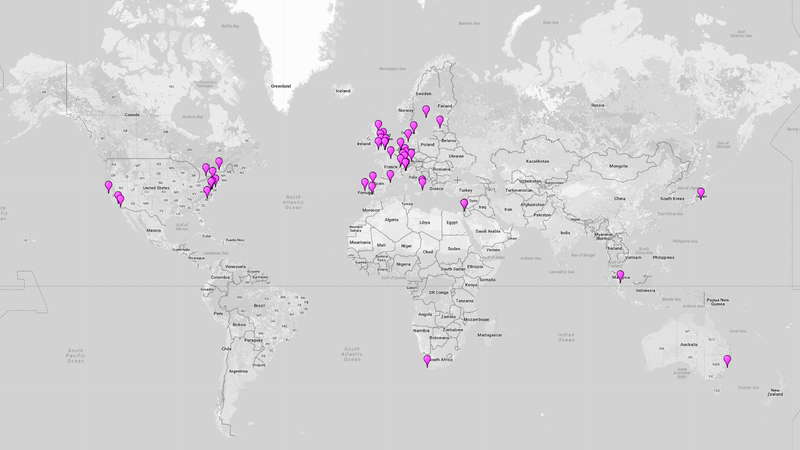 The map plots worldwide collaborations by current group leaders. The LMCB has raised £60M of research funding over the last five years. Of this, the Medical Research Council provides £24M of core funding for infrastructure and research programmes.